Home Warranty Reviews - The #1 Consumer Research Site! Home Warranty Reviews - The #1 Consumer Research Site!
" Our goal is simple! Offer plans that protect against the high cost of repair or replacement of your major systems and appliances. Choice Home Warranties are available to all home owners, be it, first time home buyers, sellers and existing home owners." "We believe our technology and process puts us ahead of the industry, helping to ensure the best available technician is assigned to your needs in the timeliest manner. It's the ultimate tool for home protection at a great value." The Choice Home Warranty is one of the largest and leading home warranty companies in the country, offering coverage in 48 states. Choice Home Warranty is a proud to be listed as 7-Time “Honor Roll” awardee by Inc 5000. Choice Home Warranty is proud to work with an extensive and ever-growing network of over 15,000 certified contractors. 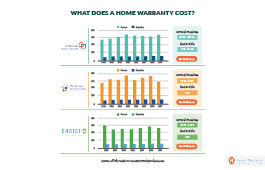 Choice Home Warranty offers two home warranty plans, with many additional add-ons to choose from. The company does NOT require a home inspection when you buy a home service plan. What if the Home Warranty Rep contacts you & not the other way round? A home warranty is a contract that agrees to provide you with discounted repair and replacement services. Let’s assume that you have a host of appliances that you rely on to get about your daily chores. If one of them breaks down unexpectedly, it will cost you a lot to repair/ replace the appliance. Need we mention the inconvenience that such incidents bring forth? We’re sure that you are quite familiar with the inconvenience that follows such incidents. Home warranty contracts cover expenses that are incurred due to repair/ replacement services, for a fixed duration of time. This means that when you purchase a home warranty, your warranty provider pays for the actual repair service or provides you with the money needed for replacing the damaged device in case it is irreparable. Such contracts can easily be purchased from warranty providers. A home warranty is also known by many other names such as appliance warranty, home warranty insurance, home service contracts etc. 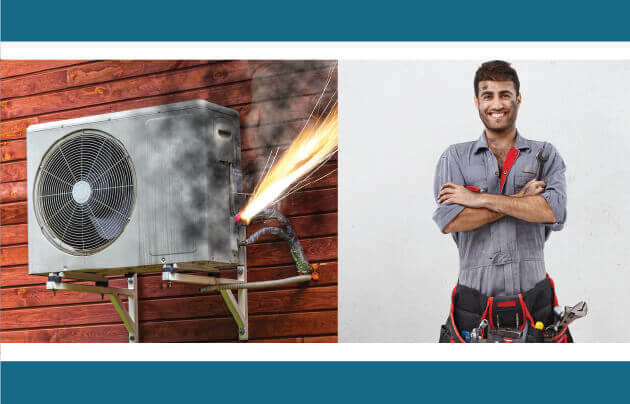 Home service contracts typically cover appliances and systems inside a house. They are, in general, considered as your best defence against expenses incurred due to an unexpected appliance and system breakdown. Home warranties cannot be used to replace homeowner's insurance or builder’s insurance or even extended warranties. These contracts are usually purchased for appliances that are old and sustain some amount of wear and tear. Homeowner’s insurance is used to protect your home and its contents from crimes, hazards, and certain other perils. Likewise, extended warranties cover individual appliances and not a set of appliances like how a home service contract does. Finally, builder’s warranty covers structural components and not a home’s contents. However, a homeowner’s insurance, builder’s insurance or even extended warranties do not cover the repair/ replacement costs of a set of home systems and appliances. Only home warranty policies offer this service. Anyone who wishes to save themselves from huge repair and replacement bills will find a home warranty handy. 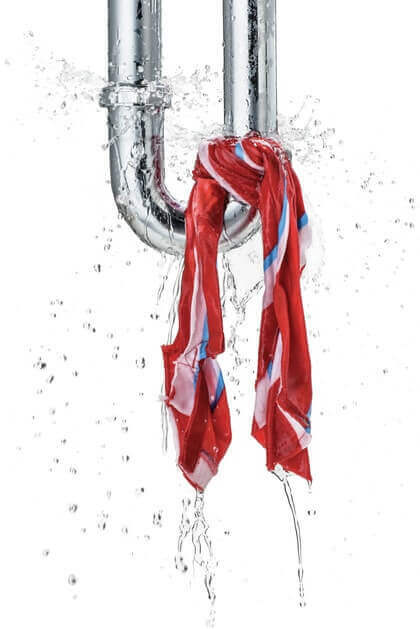 Now the question is, how do we foresee an appliance or system breakdown? 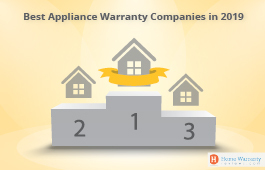 Appliances and systems typically come with a manufacturer’s warranty that lasts for one year. 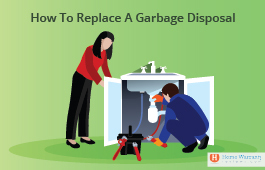 However, systems and appliances are unlikely to require repair when they are new. If your appliances and systems are over 4 years old, chances are high that they have suffered significant wear and tear due to continued use. Such appliances and systems have a higher probability of breaking down and disrupting your budget. If your home and its contents are new, you may not need a home service contract.If not, it’s always better to have your appliances covered. Real estate agents also find home warranties quite useful as properties sell faster when sold along with a home warranty. Appliance contracts are also ideal for first-time home buyers who will not know much about home maintenance. Ideally, get your home inspected by a professional home inspector. They can offer helpful suggestions regarding whether or not you need to purchase any kind of warranty. These warranty plans cover the repair and replacement costs of certain kinds of damages. Damages resulting from regular wear & tear and age are usually included while damages due to crimes, hazards, and other perils are omitted. Issues due to lack of maintenance are covered by some warranty companies while some companies exclude such damages. Once you purchase a warranty and the coverage comes into force, you can call up the warranty provider to report a damage anytime during the duration of the contract. Assume that you have a refrigerator and it is covered by your warranty. When it crashes, you simply need to place a call to your warranty company or file an online claim informing them about the breakdown. The warranty company then collects some details from you and verifies that the damage is indeed covered. If yes, they will contact a service contractor in your locality with whom they maintain business ties. All major appliance warranty companies maintain massive contractor networks. The contractor then contacts you to fix an appointment with a technician. The technician examines the damage and fixes it. The actual cost of the repairs are met by the warranty company and the trade call fee of the technician is paid by you. In case the repairs required are complex, the technician may have to wait for the home warranty company’s approval. Same is the case when parts need to be replaced. In general, it is the warranty company’s duty to procure the parts for you in case the need arises. Home warranty plans are affordable unless of course, the coverage you need is extremely extensive. Annual premiums usually cost somewhere between $300 to $600. 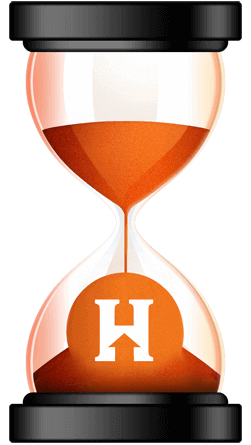 In addition to the annual premium, you will have to pay a service call fee or around $50 to $100 each time you report a claim. There are also some companies that charge zero deductible fees. The prices are sometimes dependant on the area of your property and its age. Some companies charge a higher premium if the home’s area is over 5,000 sq.ft. The market is flooding with home warranty plans, so it is not unusual to find homeowners confused about which warranty product to purchase. Making a wise decision about the warranty company and the plan is vital. We have been in this industry long enough to say that fraudulent companies do exist. 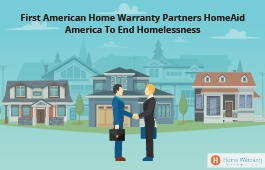 And there have been cases where people who have purchased warranties from such companies have lost out on money..
On our website, we host over 72,791 reviews covering 80 plus home warranty companies from across the nation. The reviews section offers tools to filter and sort companies based on their ratings, premium, deductible, etc. 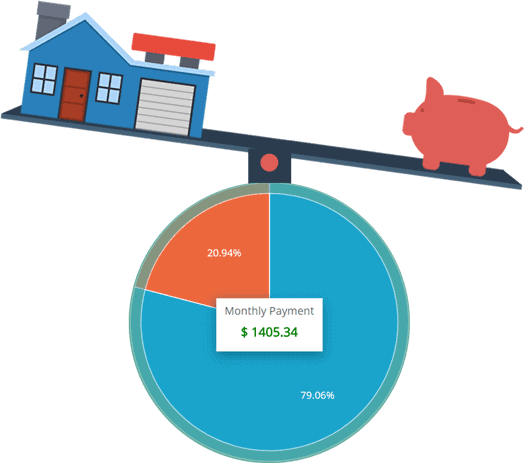 We urge users to consider multiple options before zeroing in on a plan. We have an entire section dedicated to helping you identify the top companies in the industry. The companies are evaluated on the basis of customer feedback. Higher the rating, better the company’s performance. We suggest that you go through our top companies section to get a peek at a few industry leaders. Our site hosts plenty of articles that speak of the home warranty industry from every possible angle. 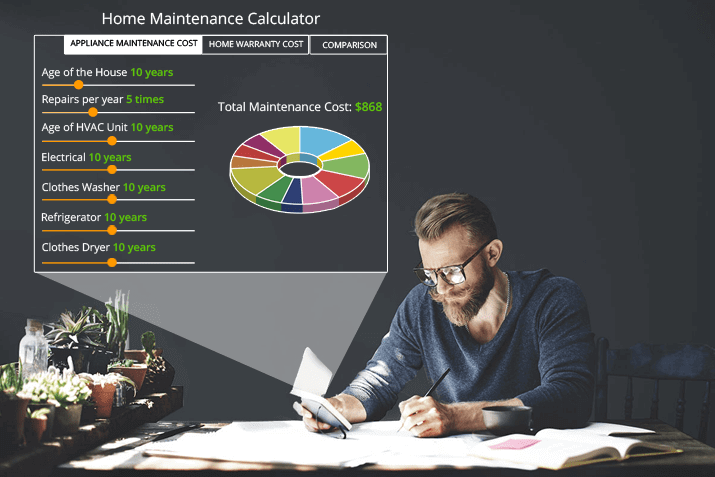 Thus, if you have a question that is related to appliance warranties and home maintenance, we guarantee that you will find the answers here.